Welcome! We are a premier custom apparel manufacturer for the motorcycle industry. With 8 years of experience in Canada and 20 years of personal sales, manufacturing and marketing experience, our suits, jackets, gloves and riding pants are beyond compare. We do not stock inventory but do have samples on hand for you to view. So if you are one of the many who cannot fit properly into an off the rack jacket or suit please feel free to contact us and we will help design the perfect riding gear for you. If you are a dealer interested in carrying our line of products please feel free to contact us. 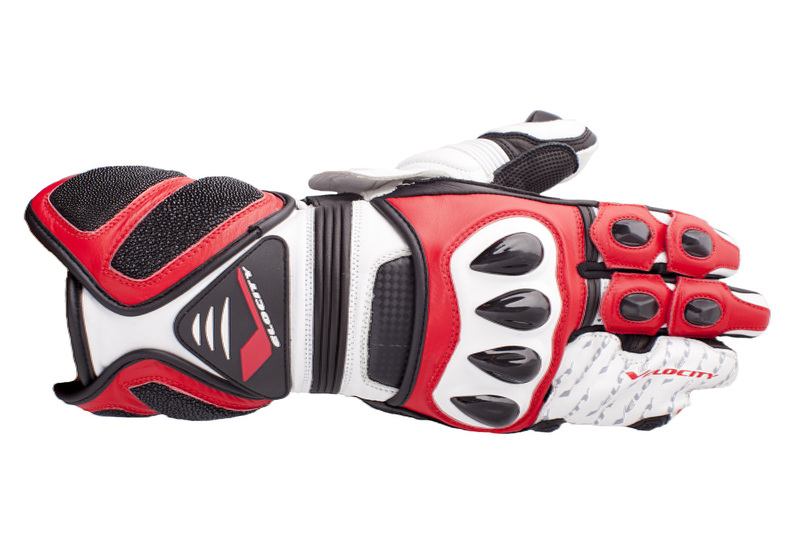 The Velocity VR-Pro's are hands down the best Motorcycle glove in the market. Read the reviews on line and make the call for a custom pair. Velocity Custom Suits are offered in Cowhide or Kangaroo Leather. We can design a suit for you that will fit perfectly and offer the most protection available. Over the past four years we have created some of the most unique and protective jackets available in the market.